“ Because I'm dieting, you might think I stay away from cookies. And, because I'm dieting with my dog, you might think I keep my dog away from cookies too. What the woof?! There's nothing wrong with a few treats on occasion, even on a diet. (I just cant eat a whole sleeve of Oreos. Darn!) The trick is choosing more nutritious treats. Most of the recipes in this book are simple and made from easy-to-find ingredients. For example, Banana Biscuits are made of banana, rye flour, buckwheat flour, eggs, butter, water and a pinch of carob. 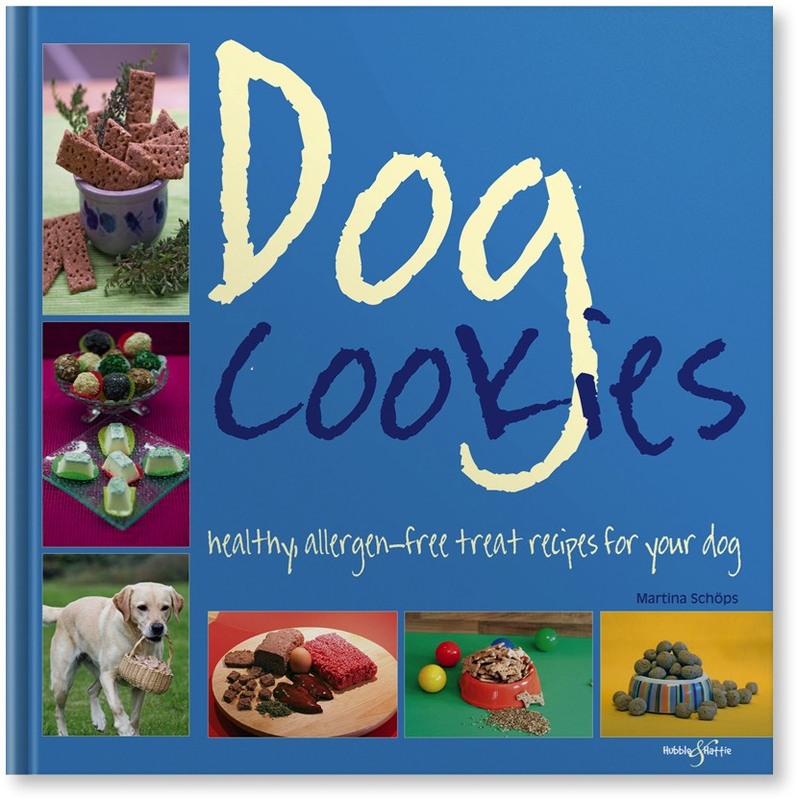 The book includes recipes for high value treats for agility training, and birthday cake, waffles and doggie ice cream.